You might have heard the phrase “full body workout” thrown about among fitness professionals. But what is a full body workout and why is it something you should do? A full body workout is essentially what it’s advertised as – an exercise program that works all your major muscle groups, and addresses a diversity of actions such as strengthening, flexibility, and cardiorespiratory fitness. It may seem unlikely to those who are unfamiliar with the practice, but yoga is actually an ideal full body workout, as long as the practice is designed with a range of poses. Many yoga poses, particularly the poses practiced during the restorative section at the end of classes, promote flexibility. Examples of flexibility promoting poses include forward bends or back bends. Contrary to common perception, certain styles of yoga can actually be classified as aerobic activity and therefore promote cardiovascular health. These include the more fast-paced styles of yoga such as vinyasa, Ashtanga, and power yoga. In addition to its impact on all the major muscle groups, yoga is truly a full body workout because it even targets the body’s internal organs. For example, certain yoga poses, particularly twisting poses, can gently squeeze and detoxify organs such as the liver. This motion also jump starts peristalsis in the intestines. Other poses like inversions can redistribute lymphatic fluid throughout the body’s lymph nodes, also aiding in internal detoxification processes. When thought of in this way, it is clear that yoga is beneficial as a full body workout. Vinyasa Flow: What is It? The defining characteristic of the vinyasa yoga style is its flowing, fast-paced movement that is led by the breath. It is a rigorous style that demands strength and openness in all areas: the lower body, upper body, back, core, and extremities. Through practicing vinyasa yoga, every major muscle group can be activated. Due to its potential to reach aerobic capacity, vinyasa yoga is arguably the ideal style of yoga for a full body workout. The following is a yoga sequence that is designed to activate all parts of the body, providing both strengthening and flexibility training for every major muscle group. The sequence can be adapted and modified to fit your own personal needs. For example, some poses may be held longer than others depending on your mind and body state, or if you want to focus on a specific group of muscles. Introduce the following flow. 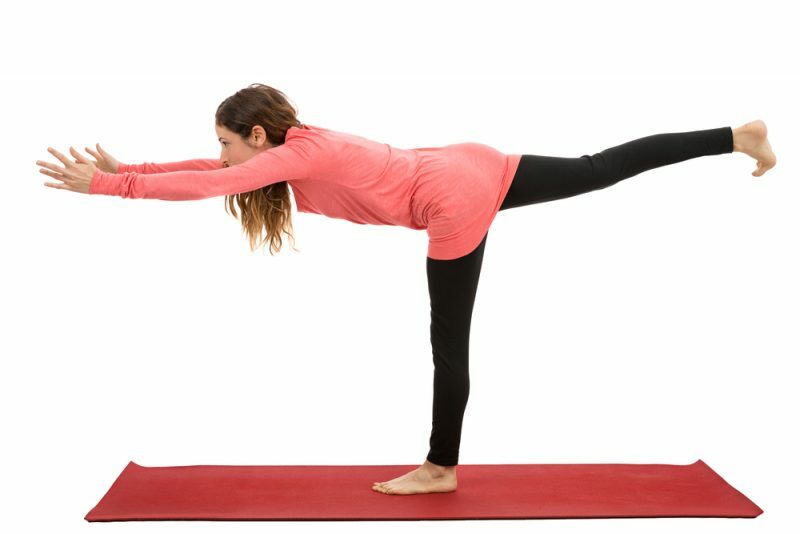 For each pose, discuss how to enter it, breath count/how long to hold the pose, benefits, as well as transition from previous pose in the sequence. If you are aiming for a full body workout, then the traditional sun salutations (surya namasakaras) are the best way to begin. In fact, the sun salutations alone offer a full body workout, and can consist of an entire practice on their own. For this reason, sun salutations are very commonly taught as the ‘warm up’ sequence in many yoga classes. They warm up all the major muscle groups, work through any joint stiffness, and increase the heart rate in preparation for the following poses. In fact, one scientific study found that sun salutations were effective for increasing muscle strength and endurance among both male and female participants. Additionally, the sun salutations had statistically significant positive effects on the participants’ upper body strength as measured with a bench press. There are two forms of the sun salutations: A and B. Traditionally, five sets of sun salutation A are done, and then five sets of sun salutation B. From the final upward facing dog of your sun salutations, press back into downward facing dog. In downward facing dog, your hands and feet are about a leg’s distance apart. The hands arm planted firmly into the mat, fingers pointing forward. The hands are about shoulder’s width apart. As you press into your hands, engage and roll your inner upper arms toward your outer upper arms. Your feet should be planted about hip’s width apart, heels reaching toward the mat. Kneecaps are engaged and lifted. The back is straight and the sits bones reach toward the back of the room. Breathe in downward facing dog for at least five breath counts, maybe bicycling your legs to get any residual joint stiffness. Downward facing dog is a wonderful strengthening pose for your arms, shoulders, and quadriceps. It also helps promote flexibility in your hamstrings. From downward facing dog, inhale and lift your right leg straight back. Open your hips here, and bend the knee so your leg falls open to the left. To perform wild thing pose (camatkarasana), release your right hand from the mat, and let your right leg and hip open so far that you are able to plant your right foot on the mat, bringing you to a backbend. You are supporting yourself through your feet, and your left arm. Your right arm can reach straight behind you, or you may want to bring it to heart center. Hold here for three to five breaths. On an inhale, lift your right foot and pivot yourself back to a three-legged downward facing dog. Wild thing pose is an unusual posture that does require a base level of strength, particularly in the supporting arm and shoulder. It also promotes openness and flexibility across the chest or pectoral muscles, as well as the hips and hip flexor muscles. From your three legged downward facing dog, exhale and bend the right knee, shifting your weight forward to plank pose, and bringing your knee to your nose. Plant your right foot on the mat between your hands. The toes should be pointing forward, and the front knee at a 90 degree angle. Plant your back foot on the mat at a 45 degree angle, with the toes pointing toward the front left corner of your mat. On an inhale, rise your torso up and reach your arms toward the ceiling, keeping the palms facing each other. This is warrior I. Hold here for at least three breaths. Warrior I is a neutral hip pose that helps build strength in the lower body, especially the quadriceps and gluteus muscles. By keeping the arms lifted, it also promotes shoulder and arm strength. From Warrior I, step your back foot forward, shortening your stance. Straighten your front leg. Clasp your hands behind your back: You can either have your hands in prayer pose, or reverse Namaste, or just clasp opposite elbows. Inhale and open the chest, gazing toward the ceiling. Exhale, and fold forward over your front leg, trying to hinge from the hips rather than round the spine forward. This is intense side stretch pose, and should be held for at least five breaths. This pose is true to its name, and does offer an intense stretch in the front leg’s hamstring. It also builds strength and stability in the hip and low back muscles. From intense side stretch pose, reach the arms straight forward. Bring a slight bend to the front knee and shift the weight forward over the front leg. Inhale and lift off the back leg into warrior III pose, straightening the front leg and balancing the hips neutrally over it. Try to maintain an equal balance between the upper and lower bodies, keeping a straight line. Warrior III is a heat building posture that requires focus, energy, and strength. It builds strength in the standing leg and hip, as well as the extended arms and shoulders. From warrior III pose, inhale and open the hips to the left side wall. The left hip stacks on top of the right hip, and the arms open up to a “T,” with the right arm reaching toward the mat and the left arm reaching toward the ceiling. The body should all be on one plane, as if pressed between two panes of glass. Unlike warrior III, half moon pose is an open hipped pose. However, it still strengthens the standing leg’s muscles, although this time more focused in the hip stabilizers. It also works the subtle balancing muscles throughout the body, as well as the oblique muscles in the abdomen, which must support the torso. Half moon pose should be held for at least five breaths. After this, the yogi can repeat the sequence on the other side of the body. For the finishing postures, the yogi should come down from plank all the way onto their belly. To perform bow pose, they will bend both knees, and reach the arms back. The right hand will clasp the top of the right foot, and the left hand will clasp the top of the left foot. On an inhale, the yogi will lift both ends of the body, pressing the tops of the feet into the hands. This is bow pose, a very deep back bend. Take a few breaths here, and when you’re ready, slowly release back to the mat. Repeat the posture at least three times, noticing the differences each time. Bow pose is a very special pose as it opens the entire front body, whilst strengthening the back muscles. From your final bow pose, release the clasp on the feet and let the body relax onto the mat. Press into the palms and press back into child’s pose. In child’s pose, or balasana, the yogi sits back on their heels, with the toes untucked. The upper body is draped forward over the knees. Knees can either be together, or spread apart with the torso falling in between. Arms can be extended straight in front, or back alongside the hips. Let the forehead ground into the mat and the eyes close. Child’s pose is a restorative posture that calms the mind. It is also a gentle counter posture for back bends such as bow pose. It is a wonderful posture to either end the practice, or transition into another sequence. The previous is an example of a simple vinyasa sequence that can be designed as a full body workout. It addresses strengthening in most of the major muscle groups, such as the legs, arms, shoulders, back, and core. It also offers stretching to increase flexibility, in both the back body (in postures such as downward facing dog), and the front body (in postures such as bow pose). Additionally, if the sun salutations and standing sequence are done at a fast pace, it may also help the yogi reach an aerobic level of exercise, therefore promoting cardiovascular health. Yoga in general, and especially the vinyasa yoga style, has the potential to be a full body workout. With some pre-planning to address each body part, yoga can be a powerful tool for those who want to exercise the entire body.